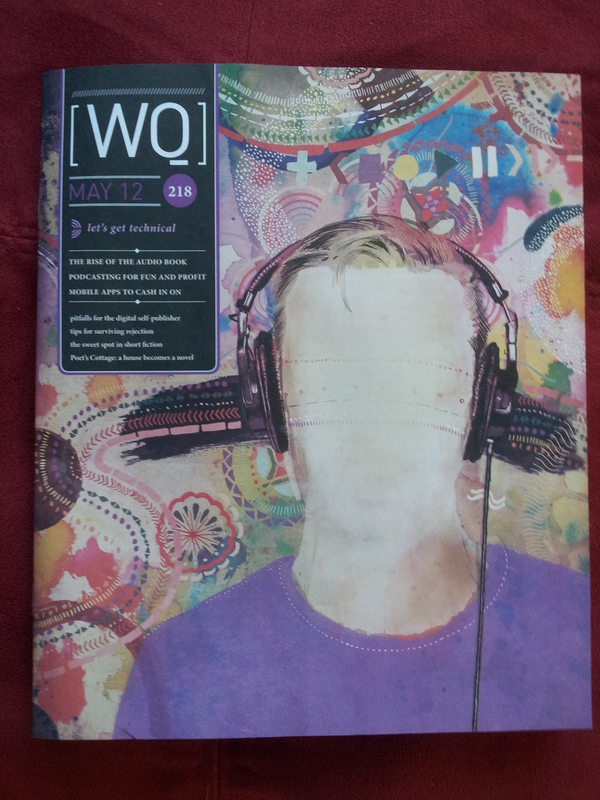 There’s an article by Tim Kroenert in this month’s WQ magazine, about audio books. Tim recommends thinking ahead about the possibility of your novel being recorded, and taking steps to retain creative control over this form. The article reminded me of an experience I had last year, listening to authors read their own works aloud at the Griffith Review Christmas party. These were stories I’d already read on the page, but hearing them read created a whole new relationship between the text, the author, and me. The stories became more immediate, more alive. As writers, we’re often advised to read our work-in-progress aloud, particularly to check whether dialogue sounds authentic. But it’s not just dialogue that needs to be tongue-friendly. The process of reading is essentially one of talking to ourselves – “reading aloud silently”. When reading aloud, I run out of breath if a sentence goes on too long without a comma or full stop. Silent reading doesn’t physically dictate to the breath, but psychologically I’ll still lose the thread of a poorly-punctuated sentence. Similarly, when reading aloud I’m likely to trip over a phrase with too many incompatible consonants too close together. When I’m reading silently, a phrase like that feels clumsy, and will distract me from its meaning. Some people write by speaking the story aloud into a recorder, then coming back and turning it into written text using voice-recognition software, a transcriber, and/or their own transcription skills. They edit as they transcribe, and/or edit the transcription. I can’t imagine myself writing like this – maybe it’s a technique for extroverts. But I certainly find reading the draft aloud is a valuable tool when rewriting. It’s much easier to hear when I’m repeating myself, or giving more information than is needed. I once arranged for a group of actors to read my husband’s draft screenplay, while he listened and took notes. He also recorded the reading so he could listen again later. This technique has obvious advantages for a screen or stageplay, which will eventually be performed by a number of people. I suspect that, even with fiction, having someone else read your work aloud sharpens your editorial ear. Like most people, I cringe at the sound of my own voice, but recording and playing back your own work is another option in the absence of a willing “performer”. And if all these sound like good ideas you’ll never actually get around to using, consider that when you win a competition, you may be asked to read aloud from your work at the awards ceremony. Why not get in practice now?